As a nation, we rely upon pills to "fix" whatever it is that ails us--from heartburn to allergies, high blood pressure to arthritis, and insomnia to restless leg syndrome. The drug companies invest billions of dollars into research each year, developing and marketing drugs for consumer use. Last year alone, the pharmaceutical industry invested some $12.6 billion in new drug development. And, historically, the amount invested in drug development has doubled every five years. This can be a good thing. Sometimes, however, the "push" by the manufacturer to get a drug onto the market can cause health problems for unknowing consumers, often much more serious than the ailment the drug was being used to treat in the first place. New Orleans residents take prescription and over-the-counter drugs daily and suffer from a variety of unnecessary, drug-related side effects. 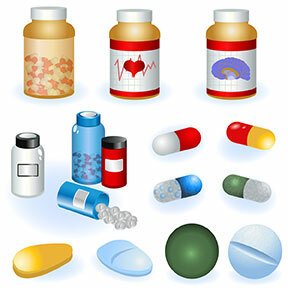 A Louisiana drug recall attorney can help you. Occasionally, pharmaceutical companies end up recalling drugs when the side effects and complications are too dangerous. Other times, however, the drugs are never recalled at all. The result is that injuries and ailments both in Louisiana and across the country are commonplace and NOLA dangerous drug injuries are often overlooked. If you are a victim of a dangerous drug or medical device, contact a Louisiana drug injury attorney or New Orleans medical device lawyer today for a consultation regarding your legal rights. The FDA approval process occurs toward the end of the drug development process. This means that the drug manufacturer has already invested a lot of money before the FDA ever sees the potential drug and, if it is not approved, the manufacturer will lose a significant amount of money. These companies are "for profit" companies and they will do almost anything to get their drugs approved. Finally, the FDA, like all governmental units, is always under-funded. Thus, the FDA actually looks to the drug manufacturing companies to provide money and research assistance to reach its conclusion on the safety of the drug. This poses a very real conflict of interest that can ultimately prove harmful--even lethal--for New Orleans consumers. Who brings New Orleans, Louisiana drug injury lawsuits and medical device cases? New Orleans and Southeast Louisiana drug injury lawsuits and medical device cases are brought by persons when a dangerous drug causes them injury. Usually, the product is known to be potentially dangerous and is sold without a proper warning to the consumer. It does not matter if the drug is received via prescription or over-the-counter in a local New Orleans area drugstore such as CVS or Walgreen's. If you or a loved one has suffered an injury and you believe that a dangerous drug or medical device is to blame, contact a NOLA drug recall attorney today. If you would like to report a problem regarding an FDA-regulated product or device directly to the FDA, please visit and follow the reporting procedure at this website. Also make sure to contact an experienced New Orleans drug injury attorney regarding your legal rights. This list is by no means exclusive. If you or a family member has suffered a serious reaction or death due to a dangerous drug or medical device, you might be entitled to compensation from the company that markets and manufactures the drug. Contact a New Orleans drug recall attorney or Southeastern Louisiana drug recall attorney today to help you protect your rights. Also, the FDA has supplied guidance on what should be included as to drug reactions, and how adverse reactions should be presented in drug warnings. A New Orleans, LA drug recall lawyer can advise you on whether a proper warning is present on a drug you have taken and whether you may have a claim against the manufacturer or another party. What are the ways New Orleans residents can bring lawsuits for Defective Drugs or Medical Devices? See below for more information on New Orleans, Louisiana class action lawsuits, and multi-district litigation suits involving dangerous drugs and devices. Louisiana drug recall attorneys are some of the best in the nation and are able to bring multi-district or class action lawsuits in defective drugs cases. If an MDL has been formed pertaining to your particular drug, it is essential that you retain a lawyer that actively practices in federal court and is familiar with the very specialized practice in MDL. New Orleans products liability attorneys are experienced in handling MDL cases and complex class actions lawsuits. The designer, manufacturer, and others involved in the chain of commerce, including the distribution of the products that caused the injury or illness, are potentially liable for injuries and illnesses caused by the defective drug or medical device. New Orleans drug injury lawyers will identify and pursue claims against all potentially liable parties. Contact a New Orleans Defective Drug lawyer for an initial free consultation. 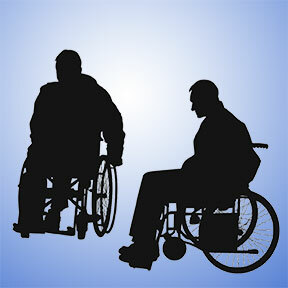 How can a New Orleans Drug Recall Attorney or New Orleans Defective Medical Device Attorney help you? 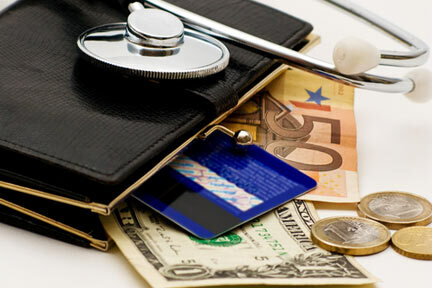 An experienced lawyer can help you recover the money you deserve. Louisiana law limits the amount of time you have to file a lawsuit under something known as a period of prescription. After the applicable time period has passed, you may be legally barred from exercising your rights. In Louisiana, the period of prescription, one (1) year, begins on the date that the cause of action accrues, which is usually the time of injury. 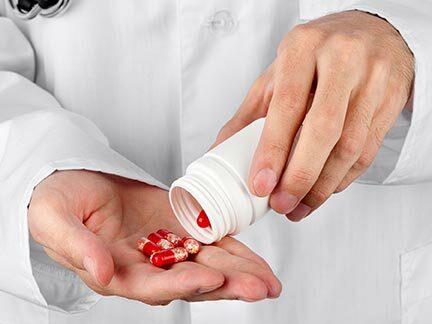 If you or a loved one has experienced a severe adverse reaction to a prescription or over-the-counter drug, it is in your best interest to contact a New Orleans attorney who will fight to get you the settlement you deserve. Contact one of the attorneys listed at the top of this page for a consultation regarding your injury before Louisiana's one year period of prescription expires and your right to financial compensation has been forfeited! Victims of New Orleans Drug & Medical Device Defects may need to seek medical attention, or may have been treated in one of the many area hospitals. Below is a list of some Greater New Orleans hospitals and their locations, as well as a map of hospitals and some local New Orleans pharmacies where you may have received a defective pharmaceutical or over-the-counter drug. If you have been hurt by a dangerous or recalled drug, contact a New Orleans Dangerous Drug Lawyer! Louisiana defective drug lawyers practice in Southeast Louisiana, including Algiers, Alma, Bridge City, Chalmette, Destrehan, Elmwood, Gretna, Harahan, Harvey, Kenner, Lulin, Maraux, Marrero, Metairie, Mt. Airy, New Orleans, River Ridge, South Kenner, Slidell, St. Benedict, St. James, St. Rose, Terrytown, Westwego, and other communities in Jefferson Parish, Orleans Parish, St. Bernard Parish, and the French Quarter. To find a New Orleans Defective Drug Lawyer, consult the list of qualified New Orleans personal injury attorneys at the top of this page.